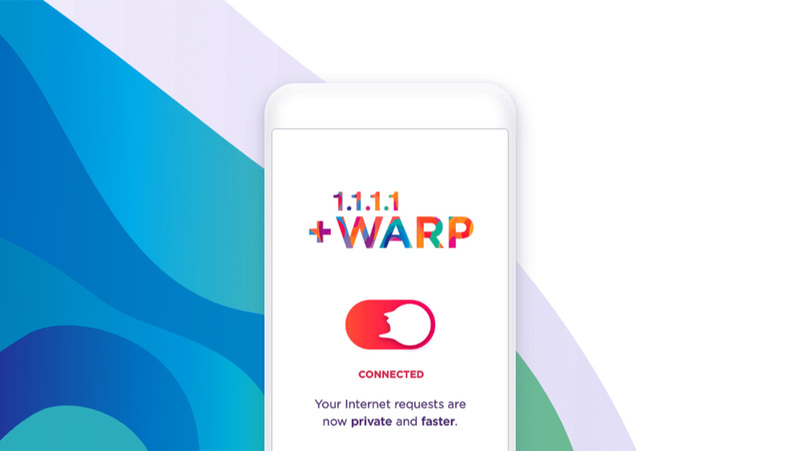 Cloudflare, one of the most popular companies that provide Content Delivery Network (CDN), DDoS Mitigation, SSL, etc has now announced a free VPN service called Warp for mobile devices. Earlier, last year, the company had released a free Domain Name System (DNS) with an IP Address of 1.1.1.1. After a few months, Cloudflare also rolled out Android and iOS apps of the privacy-focused DNS resolver service. Now, with Warp VPN, the company hope to provide faster internet experience taking care of the privacy of the users. Cloudflare is marketing Warp as “VPN for people who don’t know what V.P.N stands for.” The company also claims that most of the free VPN services are slow due to the higher number of users and slower internet connection. If you have never tried a VPN or are new to this term, let me make it easy for you. A Virtual Private Network or VPN is used to create a secure connection to another network. It basically creates a tunnel from your device to the destination and ensures that no one can see or modify the traffic. VPN uses encryption and several other security mechanisms to protect the network and the transmitted data. Cloudflare has already added the Warp to the existing 1.1.1.1 app and can be used with the Cloudflare DNS. 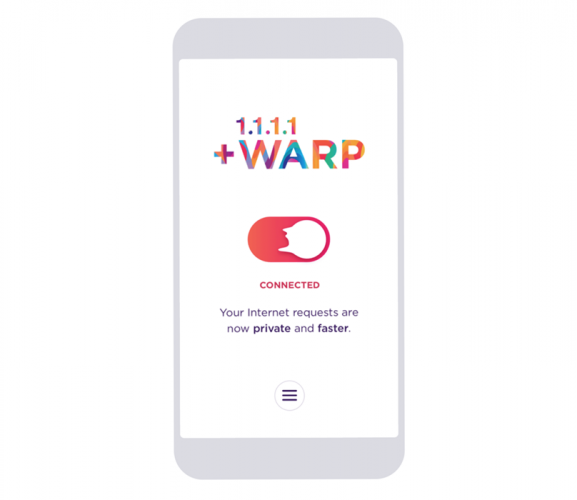 As there are already many VPN services available out there, the company claims that Warp is a new mobile-only VPN service and so it will be faster than others. According to Matthew Price, CEO of Cloudflare, “Technically, Warp is a VPN. However, we think the market for VPNs as it’s been imagined to date is severely limited. Imagine trying to convince a non-technical friend that they should install an app that will slow down their Internet and drain their battery so they can be a bit more secure. Good luck.” “If you now open the 1.1.1.1 app and enable Warp, instead of just DNS queries being secured and optimized, all Internet traffic is secured and optimized.” He also added. The new VPN service will not only provide more privacy online but also improve reliability and connection speeds over the other VPN connections. With Warp, the connection is not only protected to the browser only but also to other traffic via apps. Beside encrypting all the traffic, Cloudflare focused on the performance of the Warp VPN impressively. “Warp incorporates all the work that the team from Neumob has done to improve mobile Internet performance. We’ve built Warp around a UDP-based protocol that is optimized for the mobile Internet. We also leveraged Cloudflare’s massive global network, allowing Warp to connect with servers within milliseconds of most the world’s Internet users,” Prince wrote in the blog post. Cloudflare also promises to keep all the previous privacy protections intact with the addition of Warp with 1.1.1.1 app. These include: they will not write user-identifiable log data to disk, they won’t sell your information, there’s no need to provide any personal information to use the app and lastly they also promised to regularly hire third-party auditors to ensure they’re living up to these promises. The basic version of Warp is included as a free update to the 1.1.1.1 DNS app. However, the company is also working on a premium version called Wrap+. This version will utilize the company’s virtual private backbone and Argo technology and expected to be even faster than the free version. Cloudflare also has plans for launching the desktop version of this app soon. You can install the 1.1.1.1 app from the Google Play Store and Apple App Store for free.